Sudanic Empires of Western Africa The Sudanic empires of Western Africa were a group of powerful states that developed south of the SAHARA DESERT between the A.D 700s and 1500s. The most prominent of these states were GHANA , MALI , and Songhai.... Above all, the empires of the western Sudan were unified by strong leadership, kin-based societies, and the trade routes they sought to dominate. Trans-Saharan Trade The importance that contact with the Islamic world held for these empires cannot be understated. Start studying ccp-modern world- empires of western sudan (2/3). Learn vocabulary, terms, and more with flashcards, games, and other study tools. Learn vocabulary, terms, and more with flashcards, games, and other study tools. 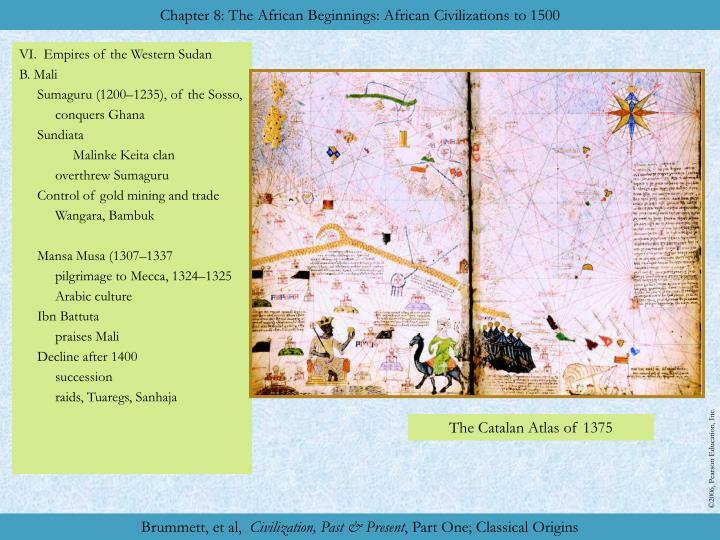 Beginning about 1200 CE, the Mali, Songhay, and Ghana empires spread their sequential influence across the western horn of Africa, making advances in trade, language, culture, and economy.